SOLSC 2015 #31: Do you make space? Happy last day of the writing challenge!! Each day during March, I participated in the Two Writing Teachers Slice of Life Story Challenge (SOLSC). My slices are primarily about teaching preschoolers. Check out the Two Writing Teachers website for lots more reflections on teaching. Kudos to all the slicers this month! We did it! I have loved reading your blogs! Thanks especially to Stacey, Tara, Anna, Beth, Dana, and Betsy for hosting this writing challenge! I apologize for the huge unevenness of this daily blogging. leads not to perfection but to ease. I always knew there was something that I could write about, I knew I would post each day. The habit of writing makes it easier to do. many seemed anemic, dull, and perhaps even "stuck." I dared to share it with you blemishes and all. Here, at month's end, I am tired. But, I am not out of ideas. I feel myself still wrestling with some topics - how might I write about these? This daily blogging has shown me the essentialness of making space to write. Each and every day, she slips over to the writing table, and works on her drawing and writing. to use only a small portion of the page and now work steadily to fill it. She knows instinctively how to be a writer. SOLSC 2015 #30: Have you filled a bucket? 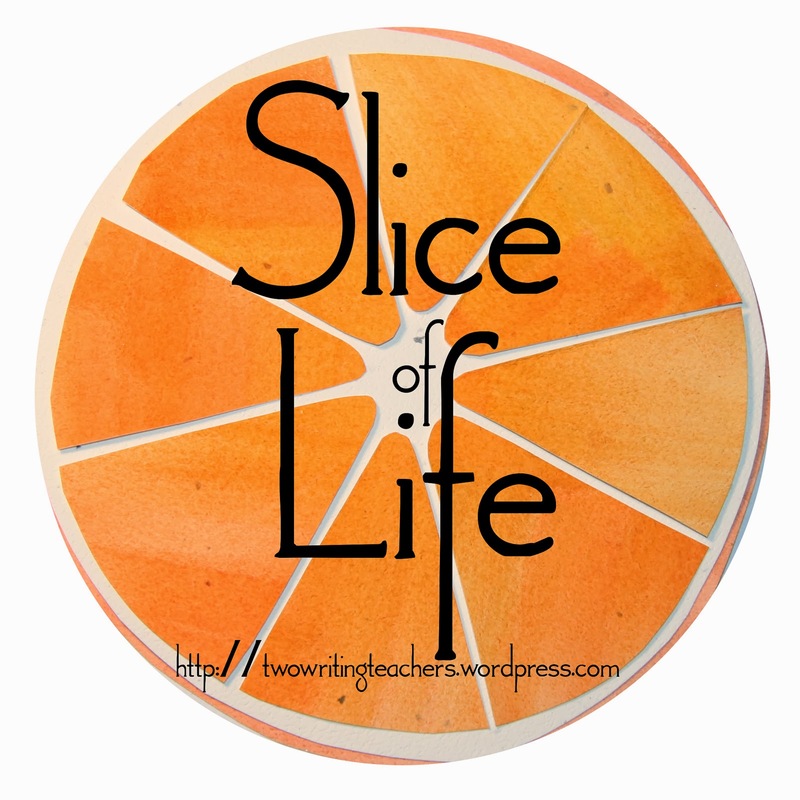 Each day during March, I am participating in the Two Writing Teachers Slice of Life Story Challenge (SOLSC). All participants are writing about one moment, one part of their day, every day for thirty-one days. My slices will be primarily about teaching preschoolers. Check out the Two Writing Teachers website for lots more reflections on teaching. Thanks especially to Stacey, Tara, Anna, Beth, Dana, and Betsy for hosting this writing challenge. to emphasize what is right and good. To help us in this renewed quest - to help us get back on the right track - we read the awesome book Have You Filled a Bucket Today? by Carol McCloud. We had a large glass jar at the ready at the front of our classroom and all morning we added dominoes to this jar, to show the love and caring that was happening. There were so many great deeds! Children inviting others to play, sharing toys, using kind voices, being gentle with their hands, helping to clean up…on and on…yes, the jar was overflowing. However, sometimes I felt as if it was only me that could see the kindness. All morning, children would come up to me and say "So and so is emptying my bucket…he/she just did blah blah blah"
"What loving and kind things do you want him/her to do?" "But she, but she, but she...ah, ah, ah…"
They couldn't get themselves out of the negative trap. How negative are the voices in their lives normally? How negatively do I speak to them normally? It was a real challenge today to turn that around…it is so easy and so instinctive for us to note what is wrong! SOLSC 2015 #29: Can you build off of that? My husband and I had a new adventure last night, attending a comedy improv competition. My colleague Ben has been taking regular classes through Washington Improv Theater and we were there to cheer him on! What a fun night! Wow, it takes guts to do this - to stand up in front of people and follow their cue, build on what they throw your way, and keep the humor coming fast. Yes, this is thinking 'on the spot'. Do their minds ever go blank (like my mind does sometimes!)? How do they plan for this? I sure didn't see any lapses, any frozen moments. So many fun little skits, one rapidly changing scene after another. Who is changing the scene? How do they know when to change the scene? How do they know the joke is over, enough has been said? I know he rehearsed with his team regularly before the competition; I'm sure that they had certain aspects of their fun routine "at the ready." I never get to see Ben teach - but I have no doubt that this extracurricular work embellishes his teaching...can't you see the parallels? Each and every day, we deal with the unexpected. Children, parents, colleagues, administrators throwing all sorts of unexpected things our way. Often, we have very little time to process before we begin to build on it. Ben's comedy group advanced to round 3! The competition continues! Congrats, Ben! SOLSC 2015 #28: Why is it called the art of teaching? how to ensure that it does? keep faith in the child. When the student is ready the teacher is there. Never believe you are the last one to teach a child something. Make peace with the possibility that you may not see growth this year. Magically, yesterday, a huge step forward. I worked very hard to make it seem ordinary, to take it in stride. "You didn't imagine it. It happened. I saw it, too. Awesome." if this single step becomes the way forward for this child. "So many things are done easily the moment you can do them at all. But till then, simply impossible, like learning to swim. There are months during which no efforts will keep you up; then comes the day and hour and minute after which, and ever after, it becomes impossible to sink. SOLSC 2015 #27: Is it barometric pressure? I am really not sure what happened. I blame fluctuations in the barometric pressure, as our outdoor recess was drowned out unexpectedly by pouring rain while the outside temperature rose to nearly 70, after many chilly days of winter coats. Centers full of acrimony, an indoor recess with the large blue foam blocks that hurt my ears and made my heart sad...and we returned to our classroom for read-aloud. "Before I begin reading, I want to see a show of hands for those who had something sad or unkind happen to them today...let's share what happened, one at a time." And I recorded their list - and added a few of my own, asking certain children to speak up and share their sad story. He knocked my tower down! She said I couldn't play with her! He drew on my clothes! She took my necklaces from me! She grabbed the blocks I was cleaning up! He said I don't know how to draw! She wouldn't give me any Magna Tiles! She said I was not her friend anymore! He screamed in my face! "I think we are all having many of the same sad problems, today. I am very sad, because none of these things - these behaviors - are in the Big Cats' tradition. Here, in the Big Cats, we are kind and gentle with one another. Let's look again at each of these things and see if we can find a kinder thing to do in its place, something we wish we had happened..."
ask if we can knock something over. draw with markers on paper. gentle with other people's things. say "May I have that when you are done?" be kind and gentle with one another. We are kind and gentle with one another. what kind and gentle things happened today? what kind and gentle things would we do tomorrow? In this way, we began to turn our day around. SOLSC 2015 #1: Let's begin! SOLSC 2015 #2: Why do you see it that way? What did we do for the Phillips this year? SOLSC #5: How to give the right guidance? SOLSC 2015 #6: What do we do now? SOLSC 2015 #7: Where could it be? SOLSC 2015 #8: What about the floor? SOLSC 2015 #9: How to prepare myself? SOLSC 2015 #10: What are we doing together? SOLSC 2015 #11: What if I taught from there? SOLSC 2015 #12: What if we worked large? SOLSC 2015 #13: What do you ask? SOLSC 2015 #14: What are your dreams? SOLSC 2015 #15: How can I convince you? SOLSC 2015 #16: What just appeared? SOLSC 2015 #18: How does it look? SOLSC 2015 #19: Should I help you? SOLSC 2015 #21: What did you learn today? 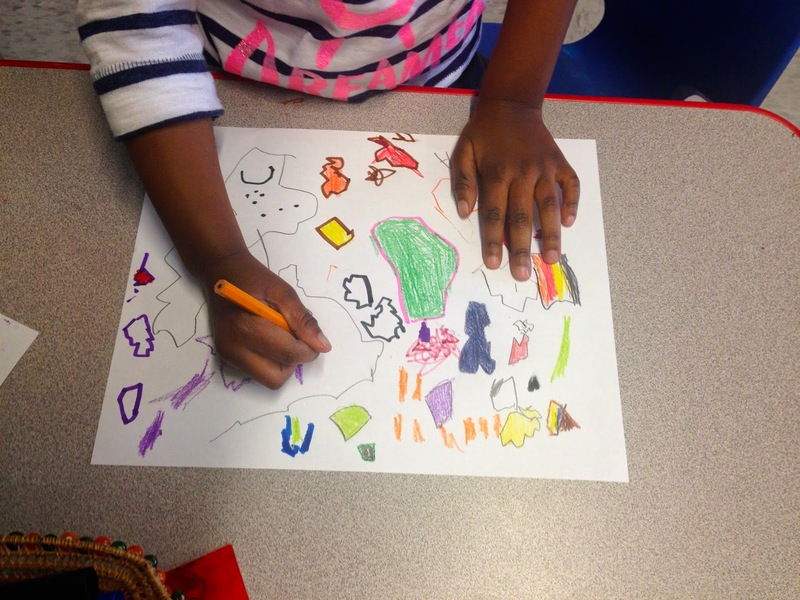 SOLSC 2015 #22: How do you make stone soup? SOLSC 2015 #23: What are those spots? SOLSC 2015 #24: What do you want to learn about? SOLSC 2015 #25: What makes you falter? SOLSC 2015 #26: How do you say hello?